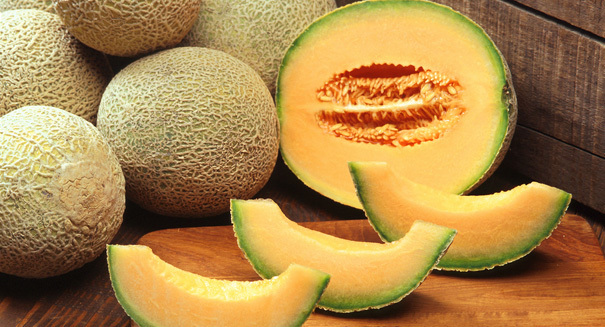 Farm's cantaloupe may be one source of contamination in multi-state outbreak of salmonellosis. The Missouri Department of Health and Senior Services released a new press release today to inform the public of the recall of cantaloupes grown by Chamberlain Farm Produce, Inc. by the U.S. Food and Drug Administration because of Salmonella contamination. The company, based in Owensville, Indiana, is voluntarily recalling all of its cantaloupes from the 2012 season that remain in stores and markets. Chamberlain Farm Produce, Inc. marketed its cantaloupes to a number of stores in Indiana, Illinois, Kentucky, Missouri, and Iowa. The company notified all of these retailers of the salmonella risk and instructed them to remove the cantaloupes from their shelves as soon as possible. All of the retailers complied with the request without argument, so no more of the contaminated cantaloupes should remain on store shelves. “Records available currently indicate that the cantaloupe was initially shipped to Indiana, Kentucky, Missouri, Tennessee, Ohio, Illinois, and Wisconsin although further shipment was likely,” said the U.S. agency. It also noted that consumers in any state who are buying or have recently bought cantaloupe to ask their retailers if the cantaloupe was grown on Chamberlain Farms of Owensville, Indiana. Salmonella is a rod-shaped bacterial species that can cause illnesses including typhoid fever and various foodborne illnesses. People who ingest food contaminated with salmonella may become infected and fall ill. Most salmonella infectious occur because of the ingestion of raw or undercooked food, but contaminated produce can also cause infections. The Centers for Disease Control and Prevention reports that there may be as many as 178 cases of salmonella nationwide related to the contaminated cantaloupe. The FDA said it is continuing its investigation into this outbreak to determine whether there are other possible sources of the potentially deadly bacteria. The agency is telling consumers to ask retailers if the cantaloupes they purchased were grown at Chamberlain Farms. The recalled cantaloupes shouldn’t be eaten, the FDA said, even after washing. The bacteria can get through the skin of the melon and inside the flesh. While people with healthy immune systems tend to be able to handle salmonella infections without suffering severe health issues, those with undeveloped or compromised immune systems are at risk. The very young, elderly, and immunocompromised are particularly at risk of infection. Salmonella infection can cause a number of symptoms including fever, diarrhea (sometimes bloody), vomiting, nausea, and abdominal pain. In particularly severe cases, the bacteria may make it into the bloodstream where it can cause symptoms such as arterial infections, endocarditis, and arthritis. To ensure their own safety, cantaloupe consumers should inquire into the source of cantaloupes before purchasing or eating them. Consumers are advised to destroy any cantaloupes in their possession if they are unable to determine where it came from. Cantaloupes from Chamberlain Farm Produce, Inc. should not be consumed and should be returned or destroyed. The full FDA recall can be found online here: http://www.fda.gov/Safety/Recalls/ucm316681.htm.